The purpose of this organization shall be to create a beautiful, safe, and healthy environment, provide a common voice for the betterment of the Highland Hills Community, to provide a line of communication between citizens and governmental agencies; and to promote a spirit of community pride. KSAT Local Expert: Baird Foundation is your local, trusted, foundation repair contractor. 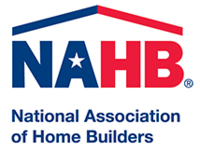 The National Association of Home Builders (NAHB) helps its members build communities. Each year, NAHB's members construct about 80% of the new homes built in the United States, both single-family and multifamily. The primary purpose of the San Antonio Pipeliners Association is to provide an opportunity for "peer-to-peer" networking for men and women involved in the pipeline and midstream industries. The largest and most active network of people, products, and projects in the industry. San Antonio Stock Show & Rodeo Also known as San Antonio Livestock Exposition, Inc.(S.A.L.E.) has grown to one of the largest, most prestigious single events in the city of San Antonio, with over one million visitors entering the grounds each year. The success of S.A.L.E. is attributed to over 6,000 volunteers that give countless hours to the organization. With community, donor and volunteer support, the organization has donated more than $160.1 million to the youth of Texas through scholarships, grants, endowments, auctions programs and show premiums.